 Designo Motoring is a one stop consulting company focused on producing highly personalized vehicles for our clients. We appreciate your patience and look forward to sharing our work with you in the new year! In the mean time, please follow us on our social media below.